I never spent too much time looking at the various Boonex membership levels until recently. 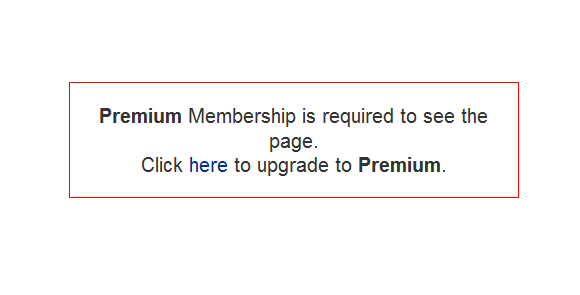 Why is it we would need to pay $99 per year for a Premium membership just to read: Unity Tweaks: Block List, Replies to Comments and Starter Posts? Based on the title of the post I don't see how it is worthy of having an expensive membership just to read the thing. Unless you intend to buy $1000 worth of mods, modules, templates, and things in the Boonex Market where you would get a whopping 10% discount, or you are going to post products in the Market you really only gain get ready for this...Access to Premium only Notes, or you can do Boonex a favor and submit development tickets to Trac. I don't know why anyone would pay $99 per year for that membership. What kind of benefit is submitting development tickets to Boonex Trac anyway? Let me get this strait...they would like you to submit bugs, errors, and other problems to them, and they want you to pay them $99 per year for this ability! What a joke. Anyone want to write free tutorials and material for me, but you have to pay me $99 per year to do so? I didn't think so!